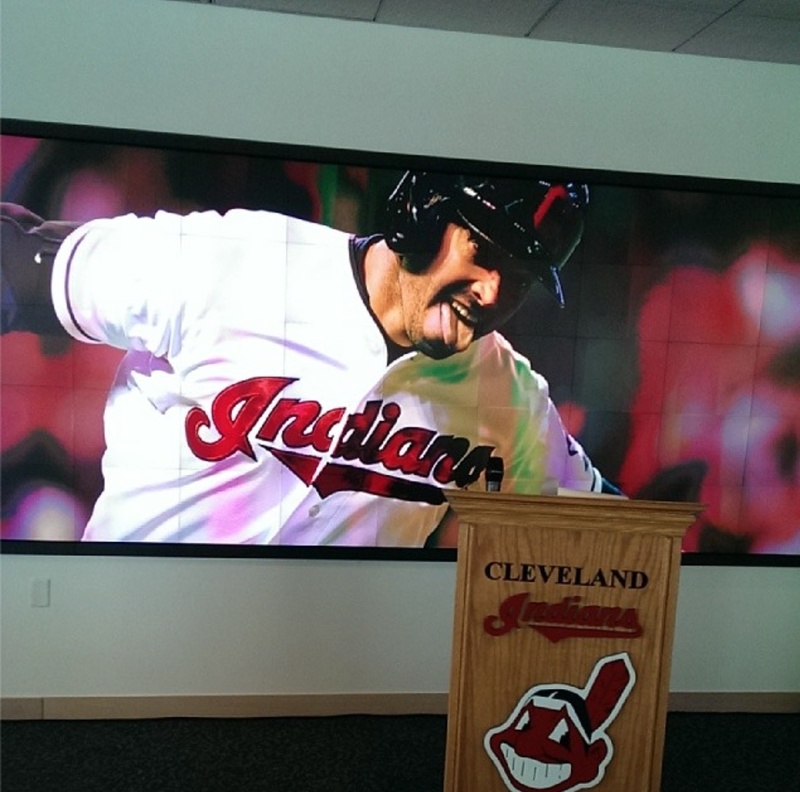 The amazing video screen at the Indians Executive Offices. Today, the Indians announced several new initiatives for the 2014 season. A couple of them are pretty darn awesome. Most importantly, you have until noon, Friday, February 28 to register online for the single ticket pre-sale. Pay attention here kids, last year, Opening Day sold out in 6 minutes. If you don't get your tickets in the pre-sale, you better have fast fingers and an understanding boss. Buying tickets online will save you moohla from purchasing at the team shops or even the ticket window. The KeyBank Kids Value Ticket is the best way to take a kid to a game. For all games (except Opening Day), you can buy up to two kids tickets per full-priced adult ticket 48 hours in advance of game time. The kids tickets, good for Mezzanine and Upper Box sections, is the regular price with one big exception...it comes with $15 loaded value to spend on food, beverages and merchandise (no booze...it is for kids). You can check more info here. There is a new flexible ticket option, Carnegie Tickets. You make an investment into your account, and you can use that money for seats in any location for any game, as long as they are available. You can receive bonuses based on your initial investment and can find more information here. Buckle up because this is my favorite new initiative. The Tribe has heard those of us that are desperate for the bobble head/tshirt/jersey but have to work or just don't want to stand in line for hours. For $5, you can purchase online a Promo Pass so you are *guaranteed* the promo item for that game. 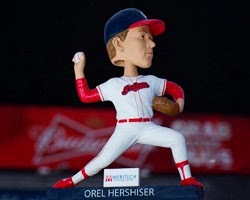 It is available for 5 games: Orel Hershiser Bobble, Brohio Bobble, Omar Jersey, Kipnis Bobble and Thome statue. 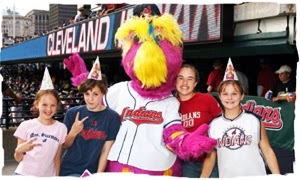 If you are a season ticket holder, you have access to nearly ALL of the promo items through Tribe Rewards. For more info on the Promo Pass, click here. For info on Tribe Rewards, click here. The Indians have also boosted the quantity of items for several dates to 12,500, including the newly added, Dr. Smooth, Michael Brantley Bobblehead on September 1. The Governor of Brohio, Adam Gockowski, was sworn in by Ketchup today, starting off what I believe to be an adventurous term. If you are unaware, Nick Swisher coined the term Brohio and section 117 on Friday and Saturday nights is his domain. Ok, Swisher isn't in the stands, but that is where the bros and broettes are. Adam's job will be to keep fans fired up and cheering throughout the game. Anything that gets fans excited about games is awesome in my book. 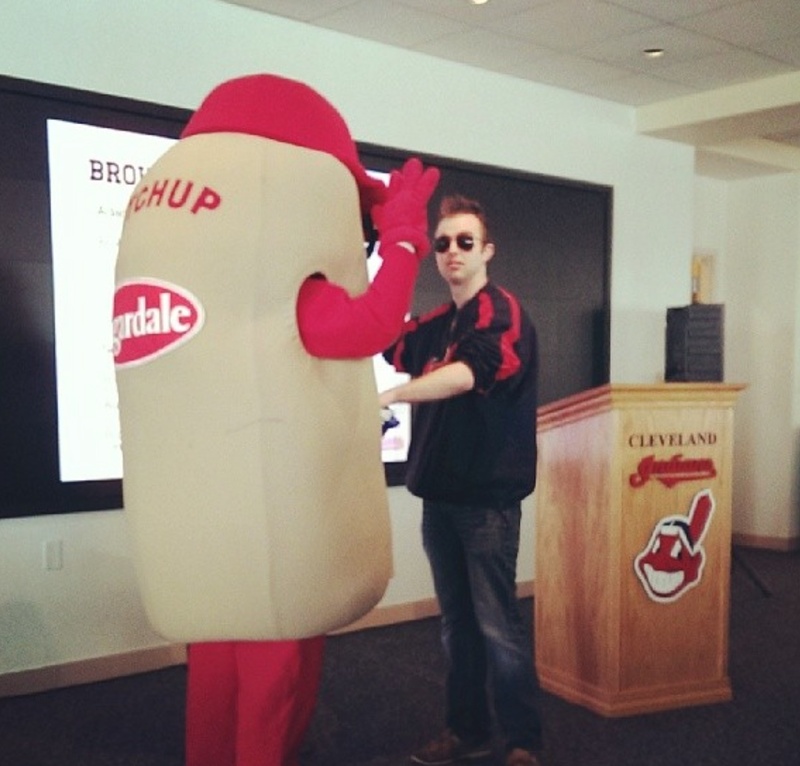 Look for a new Brohio tshirt on Opening Day along with a Brohio Bobble on May 31 and Aviator shades on August 13. 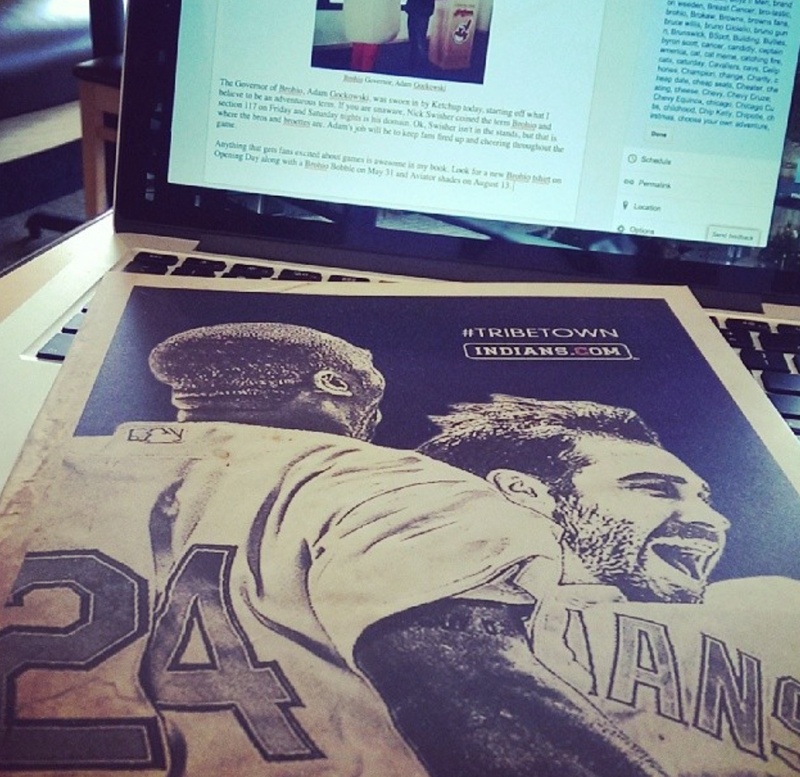 There are lots of great things planned this year, so be sure to check Indians.com for the latest updates. Make sure you put in your request off now for Opening Day.